Grapes are such an important fruit, and one of the most popular in the world. 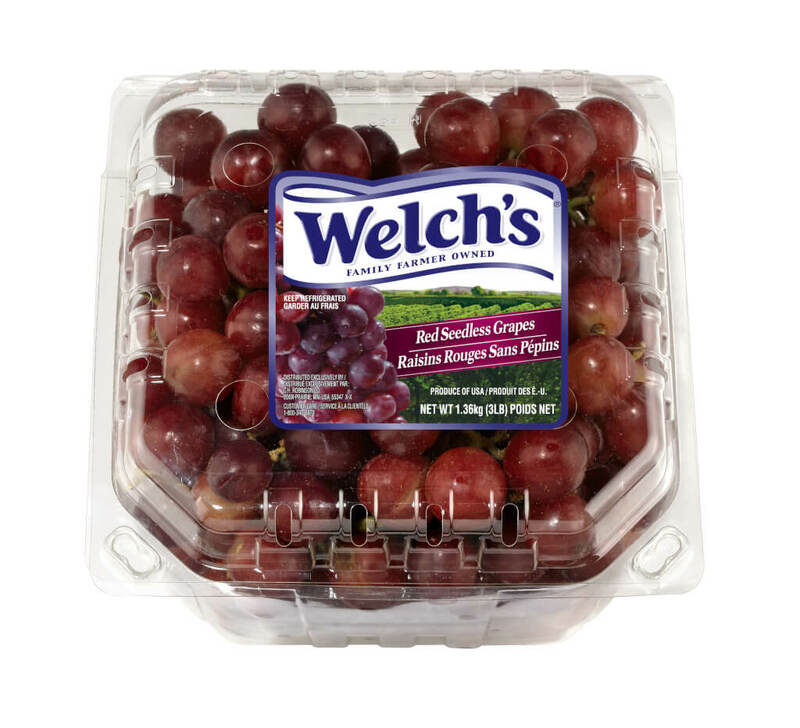 The typical American eats eight pounds of grapes per year, and some of the best grapes that you will ever try are grown from Welch's. You might think you know them, but we have some interesting information that is probably going to surprise you. Welch’s is a really special company that is comprised of over 900 family farmers. So, the farmers actually own Welch’s! And even better? Welch’s gives 100% of their profits - yes, 100%! - to the family farmers that grow their grapes. This is a unique company that embodies care, support and passion for the American farmer. 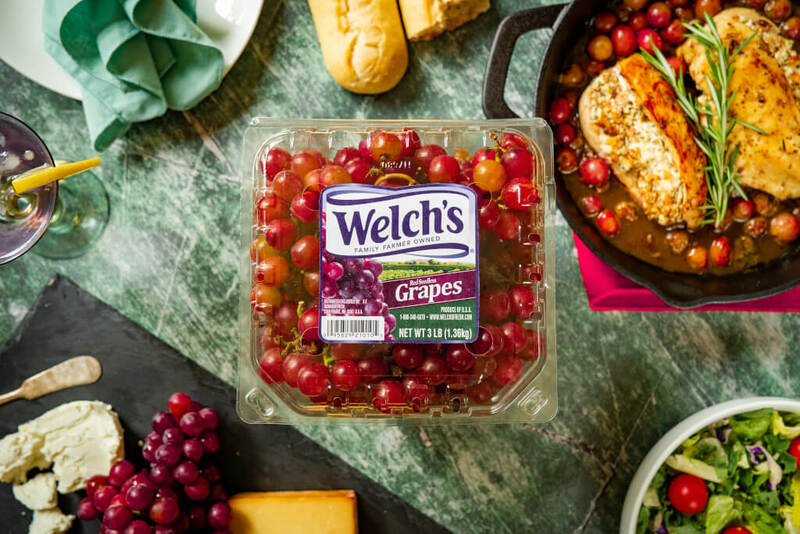 So not only is it because of their delicious grapes, but the fact that they take such amazing, incredible care of their farmers is why we’re so enthusiastic about Welch’s grapes. They’re keeping generations of farming families in business to do what they do best – grow grapes with persistence, expertise and passion. 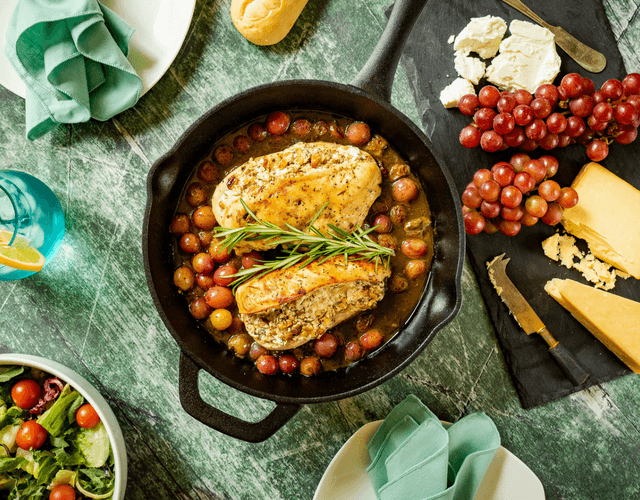 Grapes are so healthy as well, and just a few of the many interesting health facts about grapes are that it helps reduce cancer, boosts up your heart health, reduces blood pressure, helps clear up your allergies – and that’s not all! You can find more information in our health A-Z food guide, if you are wanting to know more. So, how to integrate this grape goodness into your life? Well, there are plenty of different, and even creative ways to enjoy grapes, and so many ways to serve them. Easily enough, you can enjoy them straight off the stem, or you can also freeze them for a delicious, cooling, and refreshing snack. Just pop them in the freezer until they are completely frozen. You can also add them to a delicious salsa, or even roast your grapes for a flavorful meal addition - like we did as well in our latest recipe, and also even add them to your grilled kabobs. Plus, use them in a homemade salad dressing. Get creative for extra sweet flavor and health benefits! Whatever you're doing this summer, stay healthy and refreshed – and make sure to pick up your bag of Welch's at your local store!